Landscape management involves more than fertilizing and weed control. Although most of our residential and commercial customers choose Greenlawn’s annual six-step lawn fertilization and weed control program, we offer other services, too. If you who want trouble-free, one-stop shopping when it comes to landscape management, let us help you. Greenlawn can set up a growing season schedule of services that’s right for your location. 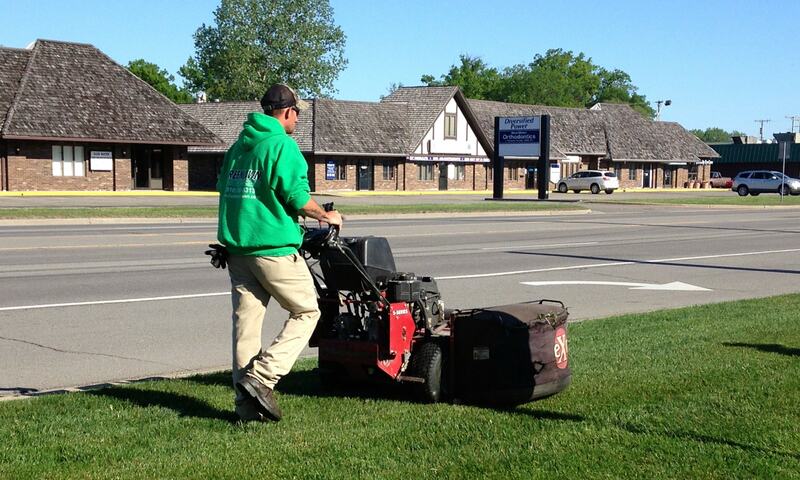 We also offers mowing, trimming and edging as a short-term or vacation service. Either way, you don’t have to think about it. We’ll keep your lawn ready for company. Greenlawn accepts only a limited number of clients for mowing services so we can provide top-quality, reliable service by people who know what they’re doing. So, get on the list early. Protect and beautify beds with a layer of mulch. A layer of fresh mulch on landscaped planting beds is not merely icing on the cake. 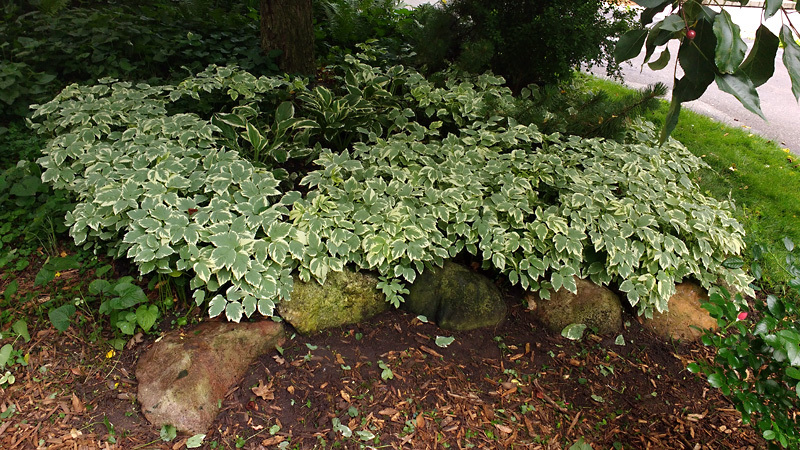 Mulch performs valuable functions as a barrier to weeds and to hold moisture around the trees, shrubs and other ornamentals, thereby protecting your investment. Hire Greenlawn to quickly and accurately complete the messy but important job of mulching your landscaping beds. 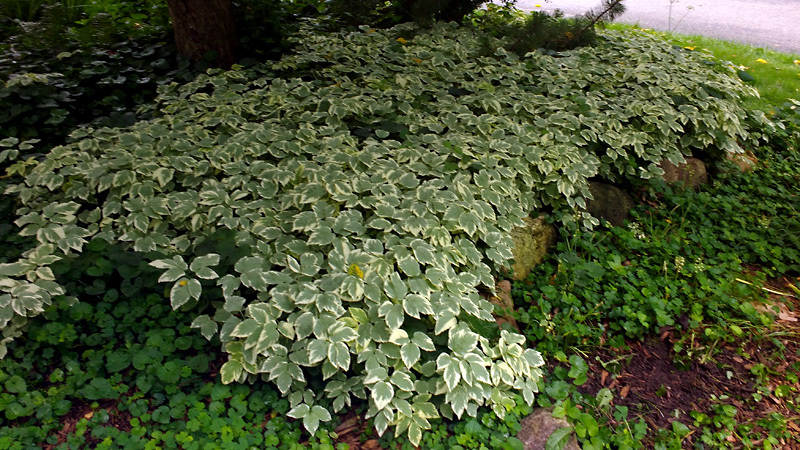 Don’t let weeds sabotage the good looks of landscaped beds. Weeds are a three-season problem. Turn your head, and they quickly reappear. Ask Greenlawn about a bed-weeding program that preserves the curb appeal of your property and frees your time for other activities. Control those unwanted weeds and grasses in commercial parking areas, fencelines, stone/gravel driveways, cracks of driveways/sidewalks, landscape beds and brickpavers. Does your Blue Water Area business seek to attract more business from summer tourists? Tap Greenlawn to give your landscape a pop of color. Do you have a lovely vacation home but no time to plant or tend your flower beds? Let Greenlawn color your slice of vacation paradise.